A denture is a removable or fixed replacement for missing teeth and adjacent tissues. It is made of acrylic resin, sometimes in combination with various metals. A denture improves chewing ability and speech and provides support for facial muscles. It will greatly enhance the facial appearance, giving you a beautiful and natural looking smile. Partial denture fills in the spaces created by missing teeth and prevents other teeth from changing position. A partial denture is suitable for those who have some natural teeth remaining. Complete dentures replace all the teeth. Implant dentures are held in place by implant supports that act as anchors for the artificial teeth. They can be either removable or fixed. Partial dentures usually consist of replacement teeth attached to pink or gum-colored plastic bases, which are often connected by metal frameworks. Removable partial dentures attach to your natural teeth with metal clasps, cosmetic clasps, or devices called precision attachments. Precision attachments are generally more esthetic than metal clasps and are nearly invisible. Survey crowns with attachments on your natural teeth may improve the fit of a removable partial denture. Complete dentures are called "conventional" or "immediate" according to when they are made and when they are inserted into the mouth. Immediate dentures are inserted immediately after the removal of the remaining teeth. To make this possible, the dentist takes measurements and makes the models of your jaw during a preliminary visit. An advantage of immediate dentures is that the wearer does not have to be without teeth during the healing period. However, bones and gums can shrink over time, especially during the period of healing in the first six months after the removal of teeth. When gums shrink, immediate dentures may require rebasing or relining to fit properly. A conventional denture can then be made once the tissues have healed. An overdenture is a removable denture that is held in place by implants. A regular denture rests on the gums and is not supported by implants. An implant supported hybrid denture is held in place by several implants and is permanently attached to the implants. 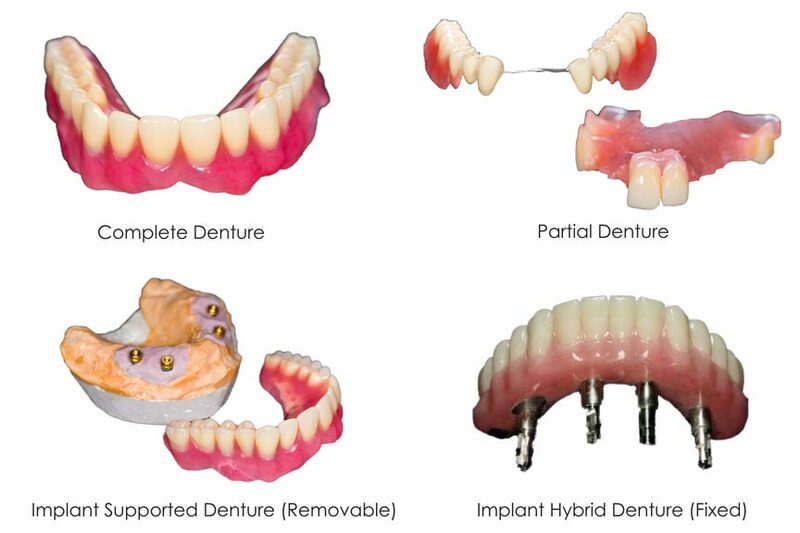 Your implant supported denture will be more stable than a regular denture. You should find it easier to speak and you should not have to worry about the denture becoming loose or falling out of your mouth. You generally will be able to eat foods you could not eat before. For the first few weeks, a new denture may feel awkward or bulky. However, your mouth should eventually become accustomed to wearing it. Inserting and removing the denture will require some practice. Your denture should easily fit into place. At first, you may be asked to wear your denture all the time. Although this may be temporarily uncomfortable, it is the quickest way to identify those denture parts that may need adjustment. If the denture puts too much pressure on a particular area, that spot may become sore. Your denture can be adjusted to fit more comfortably. Over time, dentures may need to be relined, re-based, or re-made due to natural wear and natural bone and ridge resorption/atrophy. 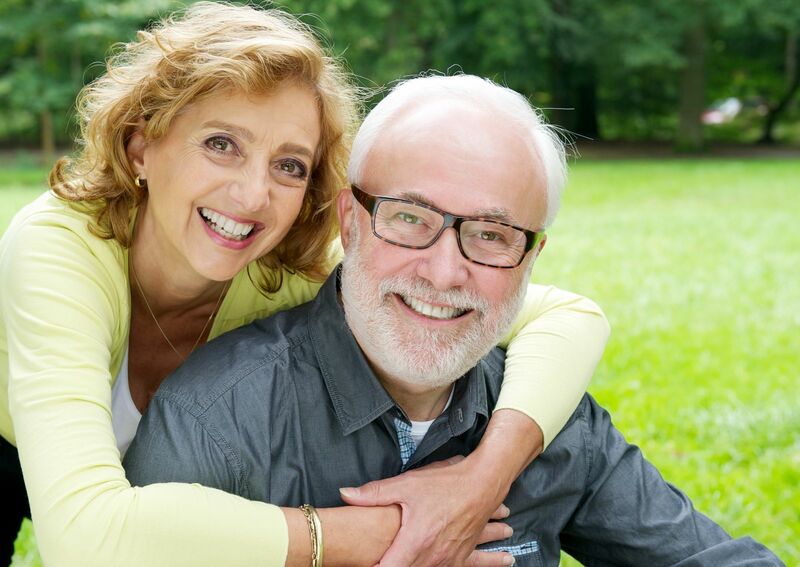 As you age, your mouth naturally changes, which can affect the fit of the denture. Your bone and gum ridges can recede or shrink, resulting in a loose-fitting denture. Loose dentures can cause various problems, including sores or infections. Avoid using a do-it-yourself kit to adjust your dentures, as this can damage the appliance beyond repair. “Crazy glues” sold over the counter often contain harmful chemicals and should not be used on a denture. If your denture no longer fits properly, if it breaks, cracks or chips, or if one of the teeth becomes loose, see your dentist immediately. In many cases, dentists can make necessary adjustments or repairs, often on the same day. Complicated repairs may require that the denture is sent to a special dental laboratory. We often ask the lab to rush the process in order to get you back your denture in a reasonable time. Do you think an implant supported dentures would work for you? Call Carroll County Dental Associates in Westminster, MD at (410) 848-5577 to schedule an appointment!